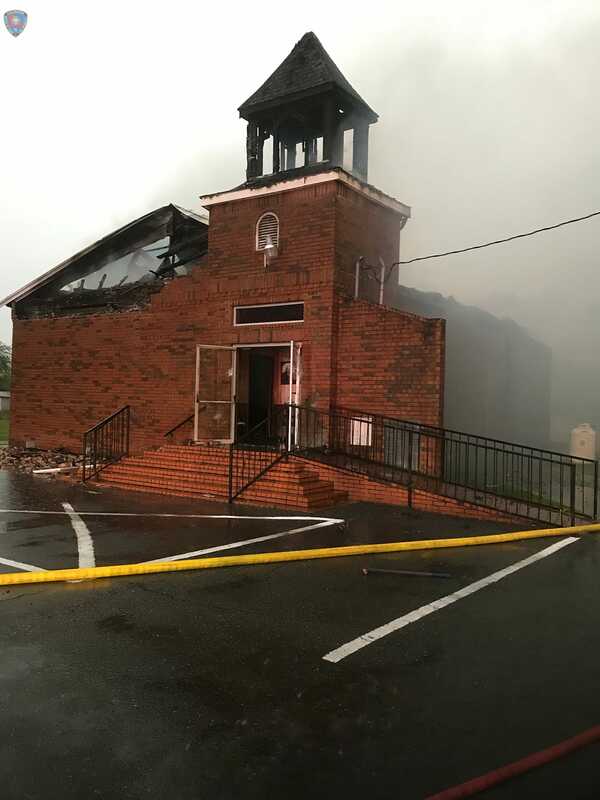 DENHAM SPRINGS – When Willis and Shannon Easley accepted the call to Christ’s Community Church eight years ago the Louisiana Baptist congregation was meeting in a junior high school cafeteria and attendance could be counted on the fingers and toes of two people. Now they are meeting in a spacious new building south of town, holding two Sunday services, averaging 500 in attendance, and, last year they baptized 135, Willis Easley said. What is the key to the growth? Last fall, for example, they had a back-to-school event which provided free haircuts and school supplies. One woman brought her children for the supplies and grooming, and another woman, a hairstylist, volunteered. Both got saved and are now members. “To see both of those ladies sitting next to each other in a membership class was really special,” Willis added. The church hosted a “Be The Church” outreach in late February where 325 volunteers, all wearing purple T-shirts, fanned out to 35 locations doing everything from putting quarters into car wash machines and laundromats to visiting nursing homes and delivering food to area police and fire departments. “We had somebody out in the community put on Facebook, ‘hey, I saw some teenagers going to a construction site and they had purple shirts on and they were giving water to the men who were working – it was very cool!’” she said with a big smile. Another major outreach this year was an Easter-egg hunt in a local park. Before the kids were to be turned loose to find 50,000 eggs, Willis presented a Gospel message. The church met for a while in the Eden Baptist Church building in Denham Springs. 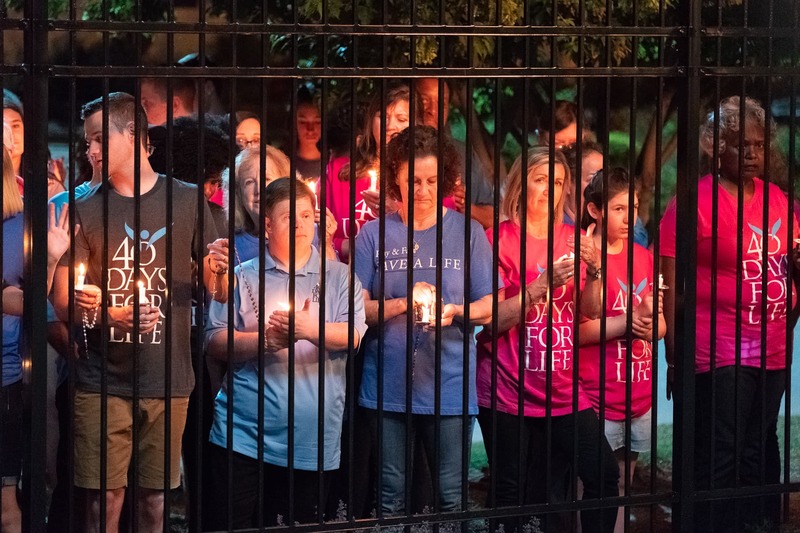 The former congregation had seen its attendance dwindle and so the group deeded the campus to the Eastern Louisiana Association. That’s when they learned not to be complacent, Willis said. “When we started being in an established, regular location we started doing all the things that regular churches do,” he said. “After a year or so we had only baptized about 12 or so – which wasn’t bad number – but I felt God wanted more from us. 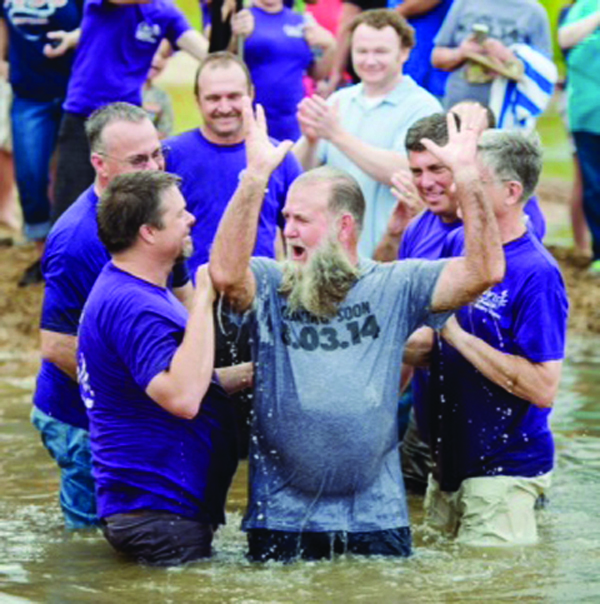 Christ’s Community Church Pastor Willis Easley baptizes his older brother, Ken Easley, in 2014. Forty people participated in the river baptism. Thirty-five people have signed up for the next river baptismal service on May 22. The church has a portable, heated baptistery that looks kind of like a hot tub on wheels, and they use it when the weather is cold, but they do many more baptisms in area rivers, Willis said. 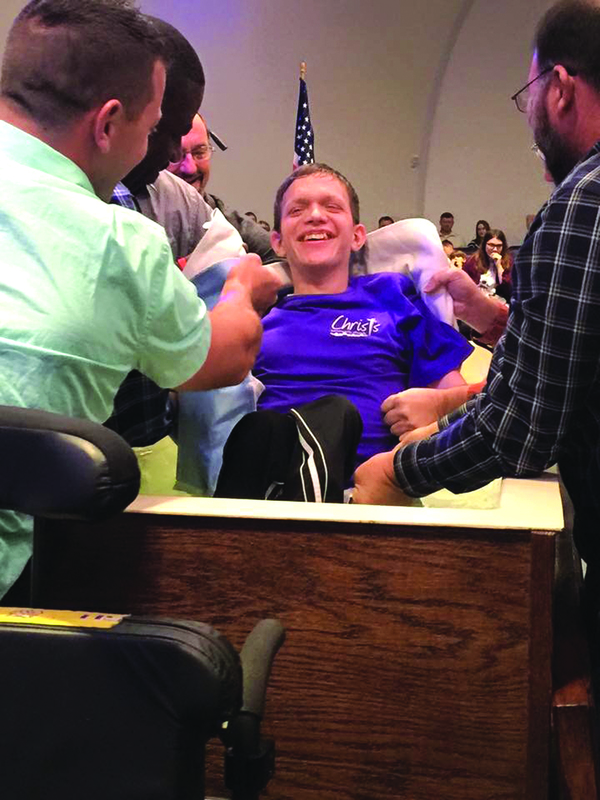 A recent indoor baptism of a young, paraplegic man moved many in the congregation to tears, said Shannon. Four men gently put a blanket under him, lifted him out of his wheelchair then lowered him into the baptistery. Indoor baptism of a young, paraplegic man moved many in the congregation to tears. Four men gently put a blanket under him, lifted him out of his wheelchair then lowered him into the baptistery. Last year, 135 people were baptized. Last September they baptized 30 in the Amite River near Watson. In May, 2015, they baptized 40 in the river near Robert and in August they baptized another 35 or 40 in the same place, he said. This month they plan another outdoor baptism and 35 are signed up, he said. “In 1996 three families were impressed by God to begin organizing a new church. “Arlon and Beverly Bardwell, David and Cyndy Branton, and Mike and Janet Smith were given a dream that soon became a reality. Meeting first in the Bardwell’s home, Christ’s Community Church became a living organism, calling Don Tuttleton to be the first pastor. Rapidly outgrowing the home, we moved to the Denham Springs High School Cafeteria. 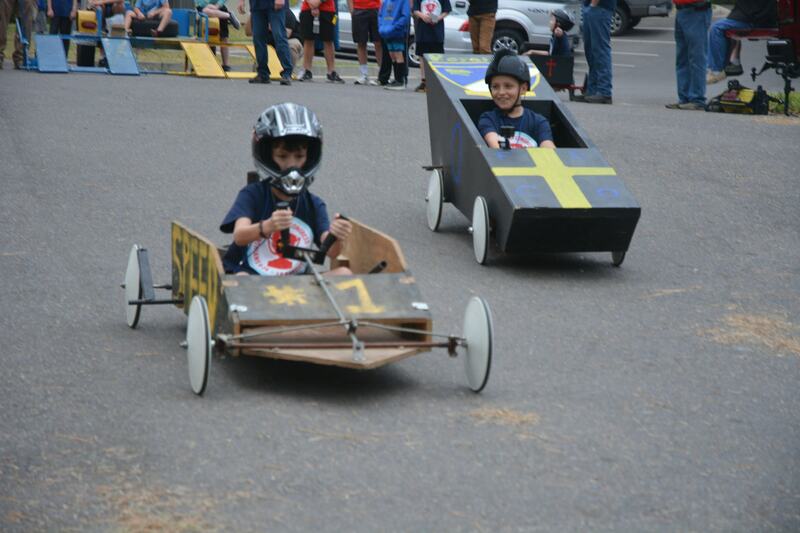 “In 1999, we once again moved – this time to the Oddfellows Lodge. Once again we outgrew the available space and moved again in 2002 – this time to Skate Heaven. In 2008, we were able to move once again – this time to Denham Springs Junior High School Cafeteria. Brother Don retired as pastor during the summer of 2008, and the church called Willis Easley to be Pastor. In June, 2009, we moved into the building next to the Denham Springs Library, at the corner of Eden Church Road and Florida Blvd.